Large rear garden in Great Leighs, Chelmsford. Hardwood decking, black slate slabs, rendered water feature and seat with sunken fire pit. Based in Chelmsford, Essex Landscope Gardens delivers cutting edge landscaping solutions all over Essex. United by their infectious passion for design, our team of landscape gardeners will use their expert knowledge and unrivalled creativity to breathe fresh life into your outdoor space. Regardless of the size and scale of your landscaping project, our garden design specialists will work to enhance your garden's natural features whilst maintaining its functionality and purpose. Ultimately, we want to bring to our clients domestic and commercial garden designs that will be enjoyed for years to come. Virtually anything is possible when it comes to landscape garden design and our Essex landscape gardeners are trained to see the potential in any space. Many of our customers yearn for a space they can really call their own, especially if they live in a terraced property with very little privacy. In this case, our expert landscape gardeners would make good use of high walling and cleverly-placed plants to create a hidden haven amongst all the suburban chaos. On the flip side, many property owners are looking for a garden design that creates the illusion of more space, in which case we may decide to work with clean shapes, flowing lawns and understated lighting to make the most of the available land. We can also create stunning driveways that will create the perfect first impression of your home to your guests. 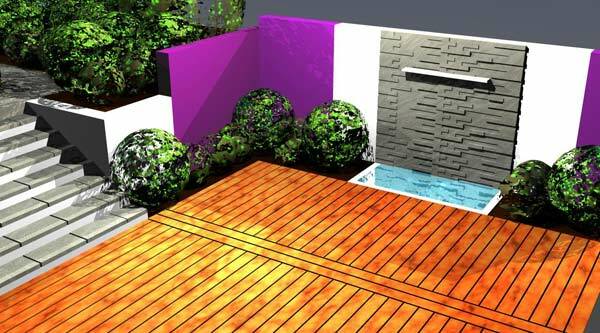 Our garden design team will always strive to bring new, exciting ideas to the table when we're planning a new project and we're famed for our uniquely modern concepts. However, we also know what it takes to develop traditional gardens that will remain attractive yet largely maintenance-free for years to come. If you'd like to talk to one of our specialist garden designers about your upcoming landscaping project, please don't hesitate to call us on 07736 349 777 or email info@landscopegardens.co.uk to arrange a consultation.